Throughout June the Australian Mushroom Growers Association (AMGA) is promoting local mushrooms. 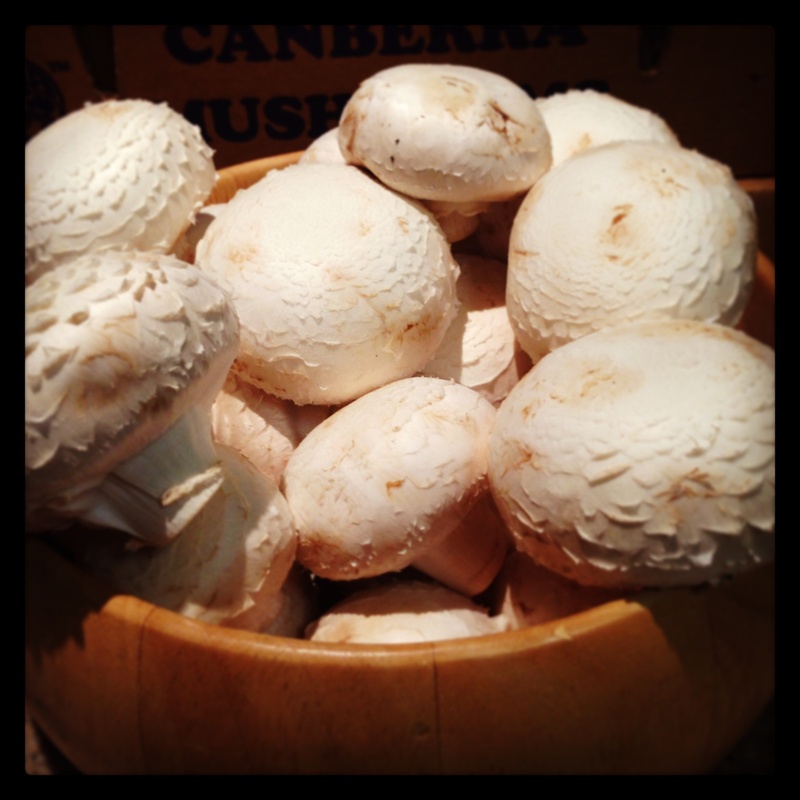 Did you know that you can buy Canberra regional grown mushrooms? 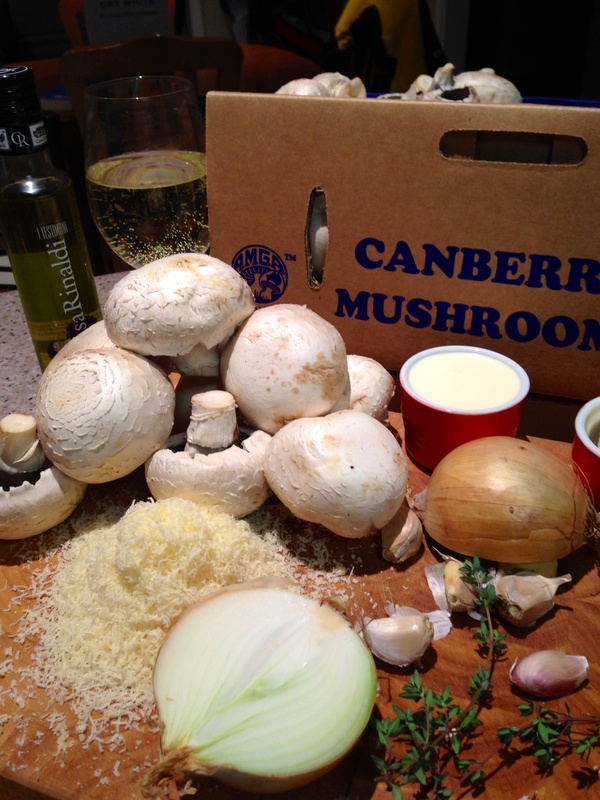 Canberra Mushrooms, from Yass and Majestic Mushrooms, from Murrumbateman supply fresh mushrooms to ACT independent grocers, food outlets and our weekly farmers markets. 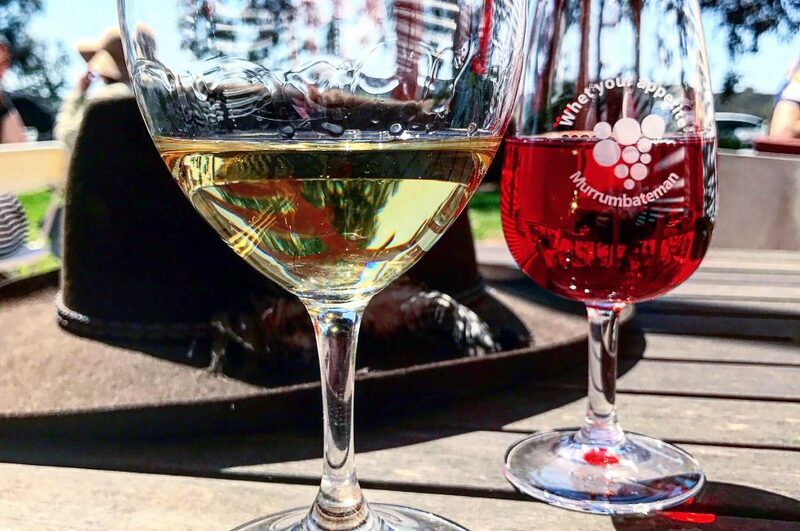 The EPIC Regional Farmers Markets and the Southside Farmers Markets are two of the local markets that sell mushies from both of the local growers. Beats buying unknown mushies at the big two. Being a Canberra food blogger I was asked if I’d like to get involved in the June promotion for the AMGA, and could I do something with a 4kg box of fresh Canberra mushies? Oh hell yeah, I sure could! The box arrived last Tuesday and I’ve been experimenting with recipes ever since. Tell you what, though, 4kgs is a whole lotta mushrooms. Lucky I love them, so does Buddy, his favourite so far is the Sirotto. But Tweenie, nope, won’t touch them with a barge pole, she’s a culinary lightweight. I’ve made a roasted mushroom stew with pomegranate balsamic glaze and fresh thyme, served on creamy mashed potatoes, a creamy mushroom sauce for a mushroom lovin friend of mine and this fabulous mushroom risotto with truffle oil and roasted mushrooms. I wish I could attend the local truffle hunts and make my own truffle oil from the spoils, but that ain’t happenin, so its Italian truffle oil from the Fyshwick markets that’s drizzled over this risotto. It’s important to have all your ingredients chopped and ready to go, as once you get started on the cooking part, you can’t leave the stove to chop mushies or grate cheese. 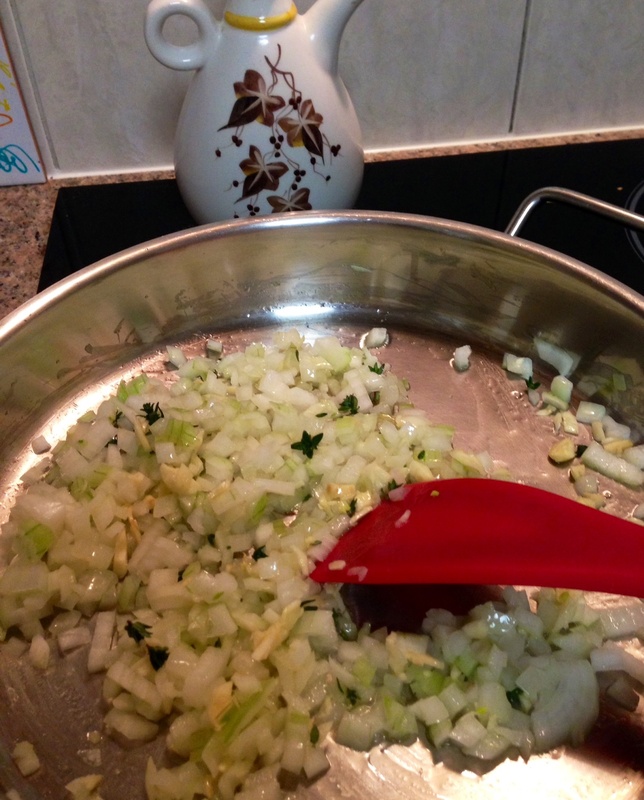 Mis en place is the key to making good risotto. Halve the sliced mushrooms, 250gms for the risotto, and 250gms chucked into the oven with seasoning, oil and a splodge of butter, to roast slowly whilst the risotto is made. 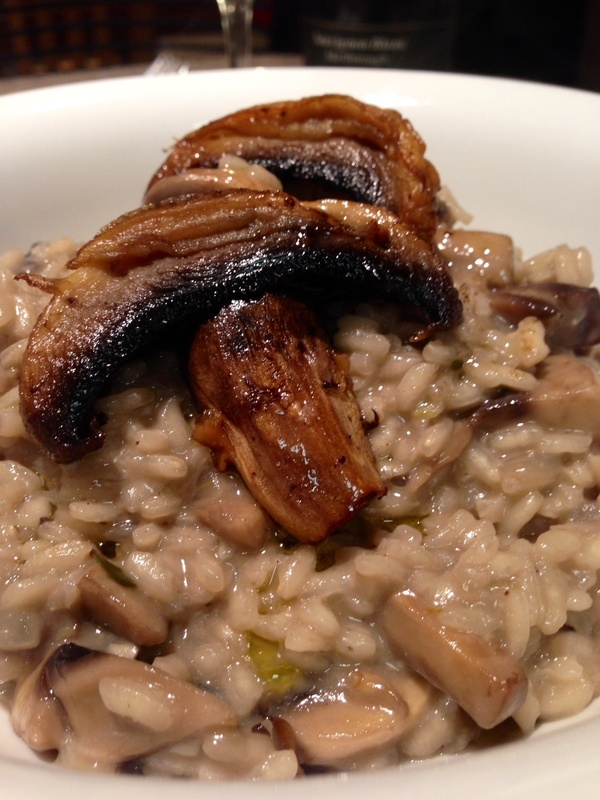 The roasted mushrooms add a salty savoury texture to the unctuous soft truffled risotto. They should cook at 200 for about 20 mins, but check them regularly, to make sure they’re cooking evenly and are all dripping with the melted butter and oil. Fry the onion, garlic and thyme in some oil until translucent. Have your chicken stock hot and in a pot, on low heat, on the stove next to your risotto pan so you can pour ladlefuls of hot stock straight into your pan. 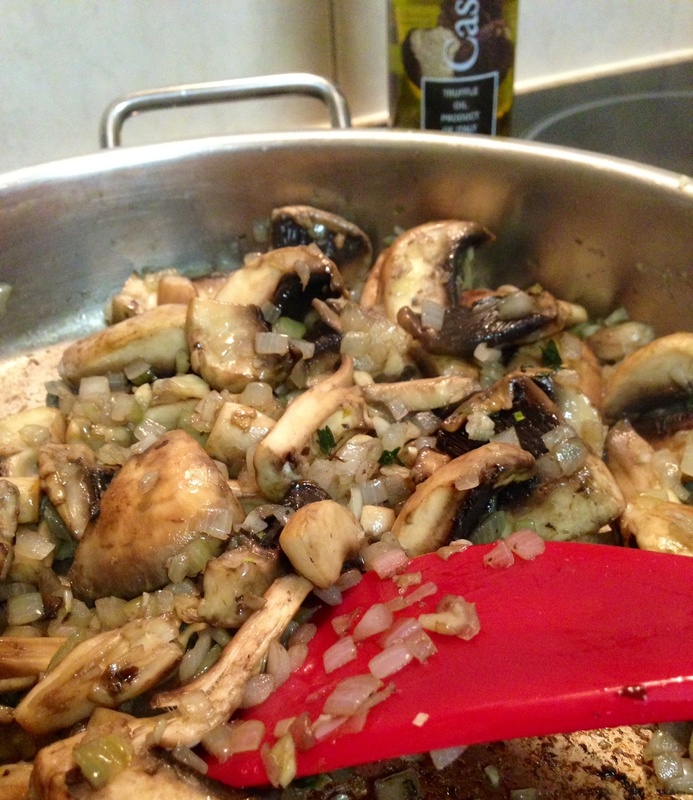 Add the mushrooms to the pan and fry gently for about 5 minutes. Turn up the heat, add a little more oil if you feel the mushrooms have sucked it all up, and they usually do, and add the aborio rice. Fry the rice until it’s slicked with oil, and becomes translucent, and while the pan is very hot add the wine and stir, ensuring the rice has absorbed all the wine before you begin to add the stock. Add a ladleful at a time of the hot stock, ensuring that you continue to stir constantly so it doesn’t stick to the pan. You know when it’s ready to add another ladle of stock when its been mostly absorbed, and you can make a line in the risotto without it immediately coming back together. 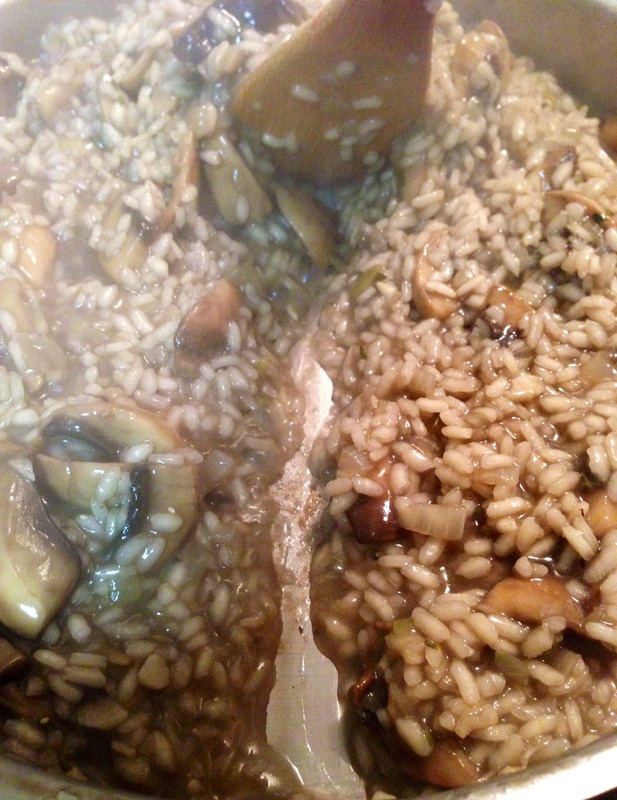 Continue adding the stock until your risotto is cooked, it must still be slightly wet as it thickens up on cooling, and risotto is supposed to have a “wave”. Check your roasting mushrooms, they should be done by about now. The rice should be nice and creamy, but you should be able to see each individual grain, and it should be a little al dente, with a very slight bite to it. Here is a blog I found where the writer goes to great lengths to explain how a risotto should look and feel. It’s a lovely informative read. Take the pan off the heat and stir through the butter, Parmesan and cream. Check for seasoning at this point. I found that this needed a fair bit of seasoning, mushrooms love salt and pepper. Drizzle with the truffle oil, as little or as lot as you want. Top with the roasted mushrooms and any of the pan juices, don’t let those go to waste, they’re divine. Serve with a glass of the white wine you used in the risotto, I was drinking a Kim Crawford Sav Blanc. 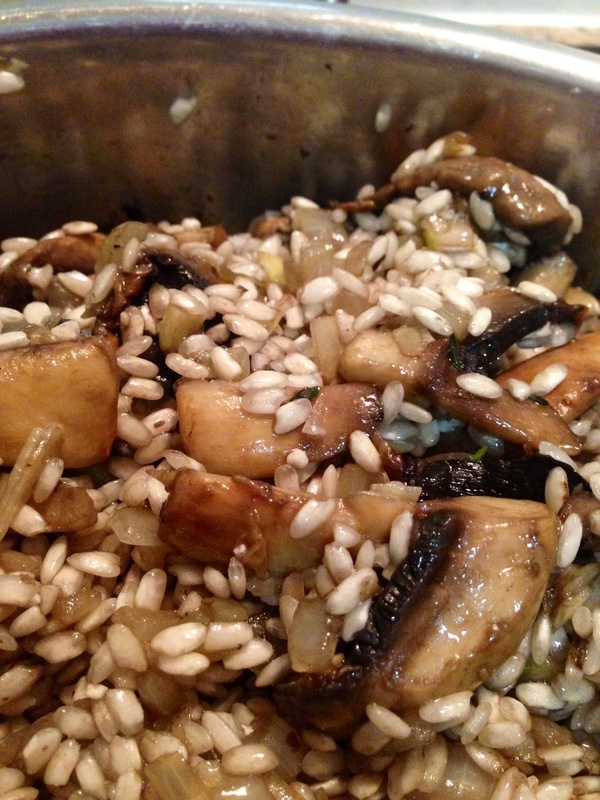 Love a good mushroom risotto! And how lucky are we to have two mushroom farmers on our doorstep! 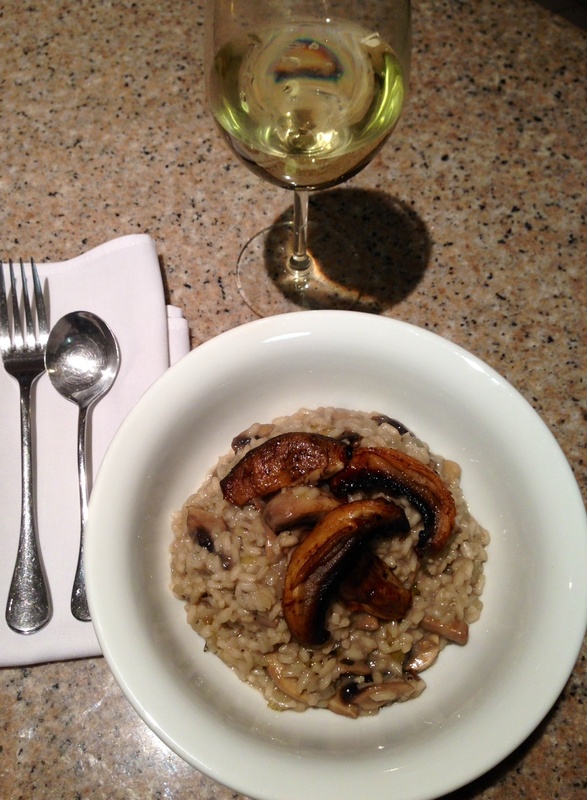 Nice lesson in making mushroom risotto! Thanks Gary, nothing like a close up of mushrooms. It’s hard to make cooked mushrooms look pretty! Perfect for a cold Canberra winters night. 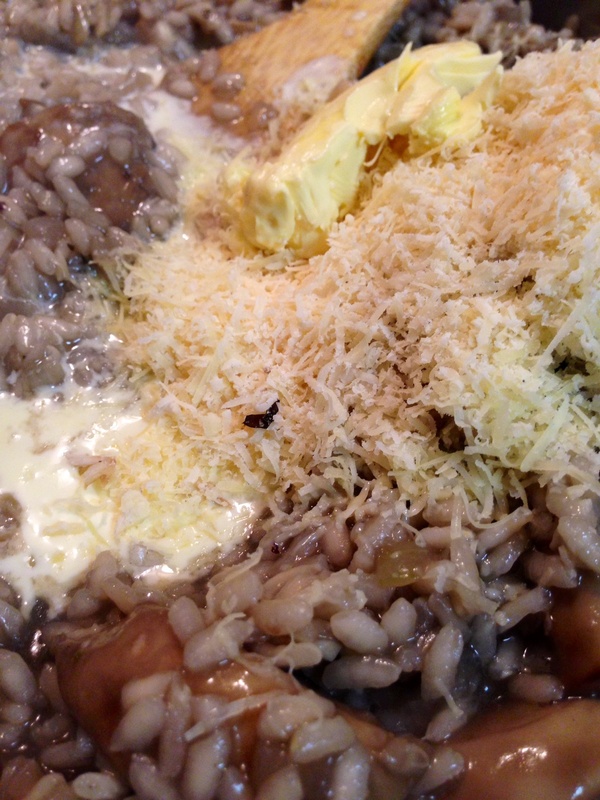 I love making risotto out of practically nothing, it was a peasant dish to begin with wasn’t it? A whole box is a LOT isn’t it? I’ve been having lots of fun with mine, and your risotto looks delicious indeed! Yes, indeedy, a whole lot. But now I’m feeling a little sad that its all gone 😦 What do I cook now?